Simple Hummus with tahini flavor is a yummy dip that can be served with chips.The protein packed chick peas with added sesame flavor makes it creamy and delicious.This can be served for kids when packing chips as snacks.They also serve to be great party starters as well.I used to buy from the stores but this time gave it a try and I must say that its much flavorful than the store brought.Try it,hope you like this dip and enjoy !!! 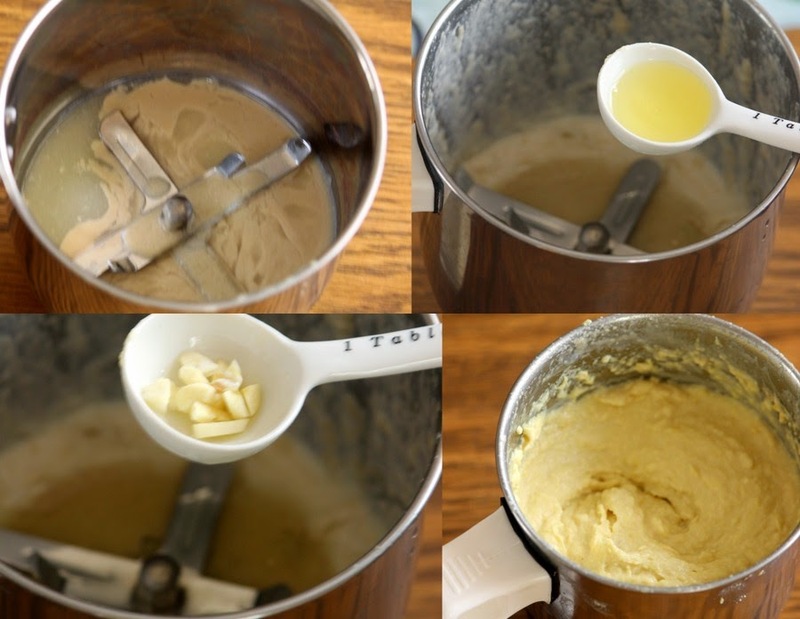 -In the blender /food processor combine tahini and lemon juice.Process for 1 minute. -Combine the cooked chick peas in a blender and grind with olive oil. -Add water little by little grind the chick peas until smooth.Scrape down the sides and process until smooth and thick.Add dash of water and till you get the correct consistency. -Add in the ground cumin and paprika seasoning. -Serve with pita chips or store in air tight containers,refrigerate upto 1 week. * You can use canned chickpeas,drain water and use.You can otherwise soak and boil chickpeas as you do for chickpeas /chole masala.Drain water and use. ok just get to falafel please, cant wait now. i am full with chips and dip. My favourite dip; can also be used as a spread, or filling for vegetable rolls. delicious dip for chips, love it!!! Hummus and tahini looks so interesting. Delicious hummus Julie love to try it. A great dip... lovely pics!